In this article I will show you how to install QupZilla 1.8.1 on Ubuntu 14.04 Trusty Tahr, Ubuntu 12.04 Precise Pangolin, Linux Mint 17 Qiana, Linux Mint 13 Maya, Pinguy OS 14.04, Elementary OS 0.3 Freya, Elementary OS 0.2, LXLE 14.04, Deepin 2014, Peppermint Five, Linux Lite 2.0, Debian Jessie, Debian Wheezy, OpenSUSE 13.1 and OpenSUSE 12.3. To install QupZilla 1.8.2 on Debian systems, we have to download the deb packages from the official site and install them with dpkg. Follow the instructions for your architecture exactly, in order to get a successful installation. 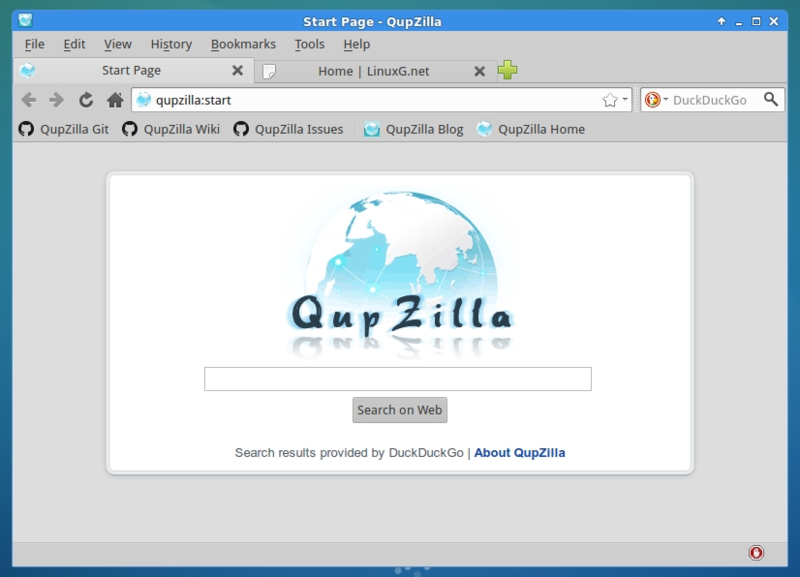 QupZilla 1.8.2 is available via repository, for the latest OpenSUSE systems. Follow the instructions for your system exactly, in order to get a successful installation.